A view towards Loft Crag, one of the Langdale Pikes, from the saddle above Mark Gate. Pike of Stickle is hidden behind Gimmer Crag. 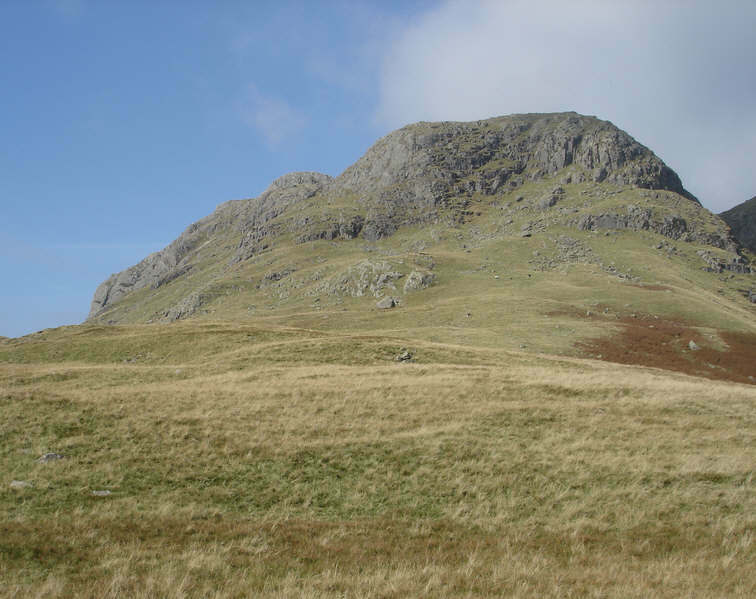 Most of the the path that climbs up on to the top of the Langdale Pikes is hidden to the left of this picture, although can be seen at the just below the skyline at the left edge of the picture as a brown line across the grass. It then climbs up a gap in the crags, the top of which can be seen as the V in the skyline to the left of the top of the central crag.